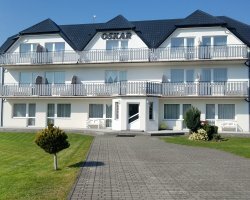 1) Accommodation Sopot - Kawalerka w Sopocie z widokiem na morze! 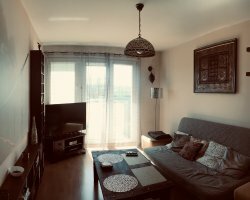 Apartment in Sopot with a sea view! I have a studio apartment to rent in Sopot in Stone Brook neighborhood. 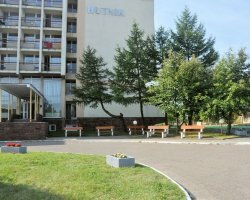 Flat is located in a peaceful and quiet location on the edge of the forest, on the floor of the tower 2gim with elevator. Under the block is a parking lot, bus stop and shops. The beach and 10 minutes on foot aquapark. 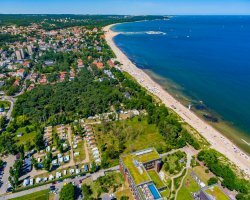 To SKM 5min walk to the center of Sopot 25min walk. Block from the bus to the center of 4min, 2min SKMką. 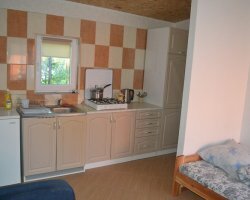 The apartment is bright and sunny, renovated, kitchenette and bathroom in very good condition. Studio is fully equipped: washing machine, refrigerator, television, new furniture and plastic windows. With windows overlooking the sea. In the apartment there are 2 sofa beds, therefore we offer accommodation for up to 4 people. Price: 120 - 150 per night for the entire room, depending on season and length of stay.